The 43rd of Foot came to North America for the second time in 1774, when trouble with the citizens of Boston was brewing and there was growing unrest in the colonies. 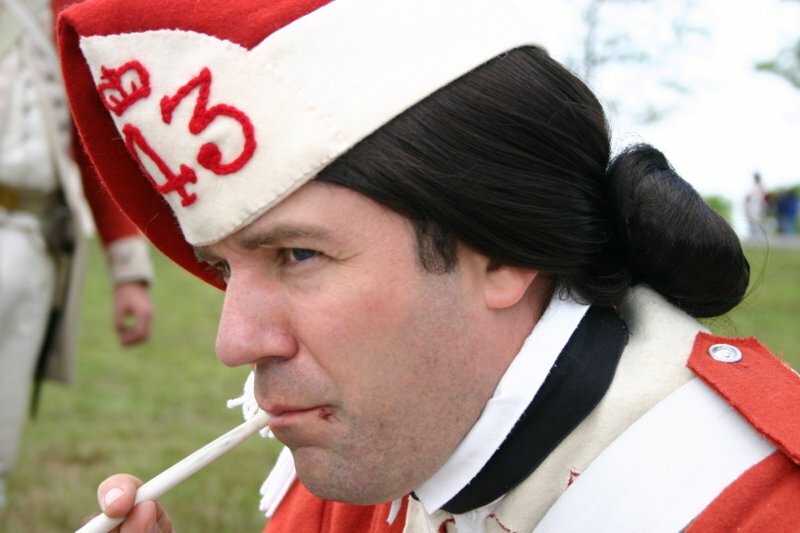 Earlier, the unit participated in the French and Indian War and many years later would be part of the ill-fated assault on New Orleans in 1815. 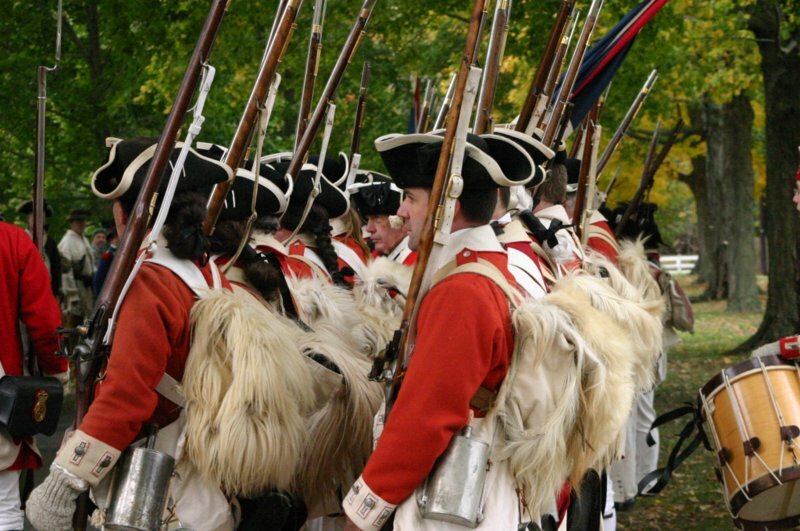 Our impression of this veteran combat unit focuses on the first years of the Revolution, when the regiment served in the Boston garrison, marched with fixed bayonets bravely up Bunker Hill and fought the patriots at White Plains, Long Island, Fort Washington and other battles in the conflict’s first years. Our uniform follows the 1768 regulations, with a classic brick red wool coat trimmed in white and the 43rd’s distinctive buttonhole “lace” and buttons (copied from actual examples unearthed in New York City and in a British transport wreck in Virginia’s James River). 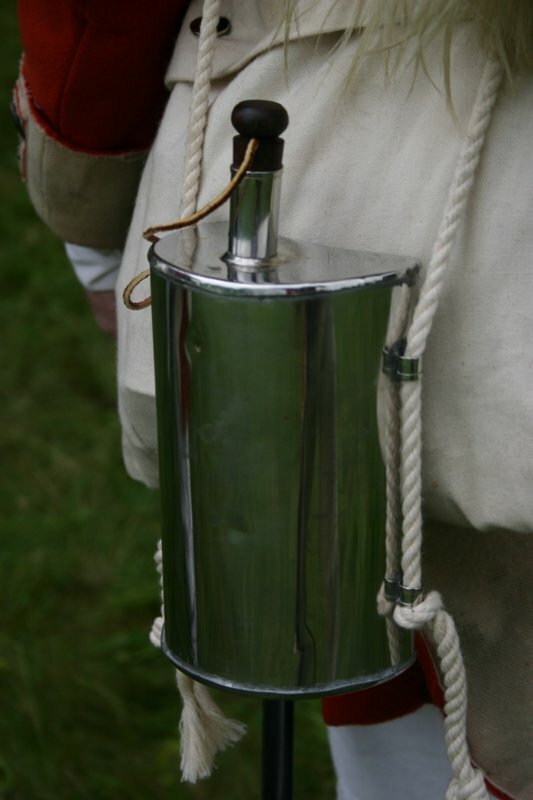 The “small clothes” (vest, shirt and breeches) are white and the leather gear, haversack and tin “half moon” canteen are copied from original 18th Century British Army examples in museums and private collections. Our brass waist belt plate is a copy of the one known example found outside Yorktown, Va.
Black canvas half-gaiters cover the buckled shoes and the hat is the standard black felt tricorn bound in white wool. 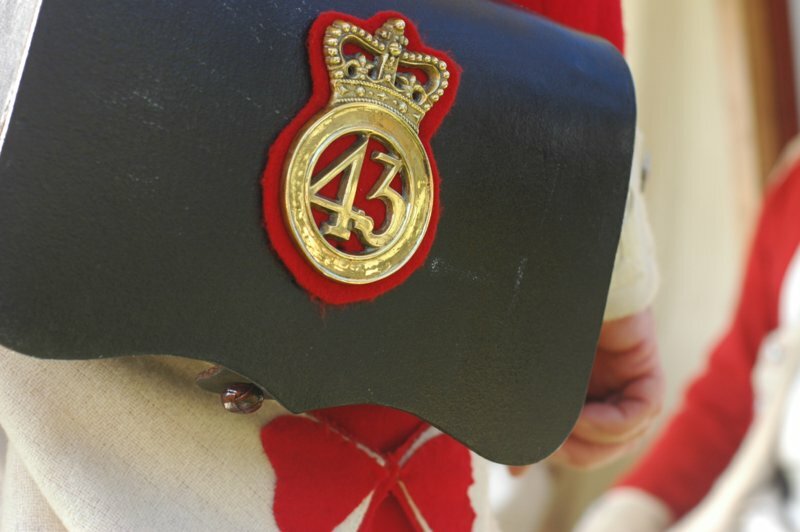 Enlistedmen also carry a simple wool “foraging cap” and, as worn by the original regiment, a white goatskin knapsack completes the kit.